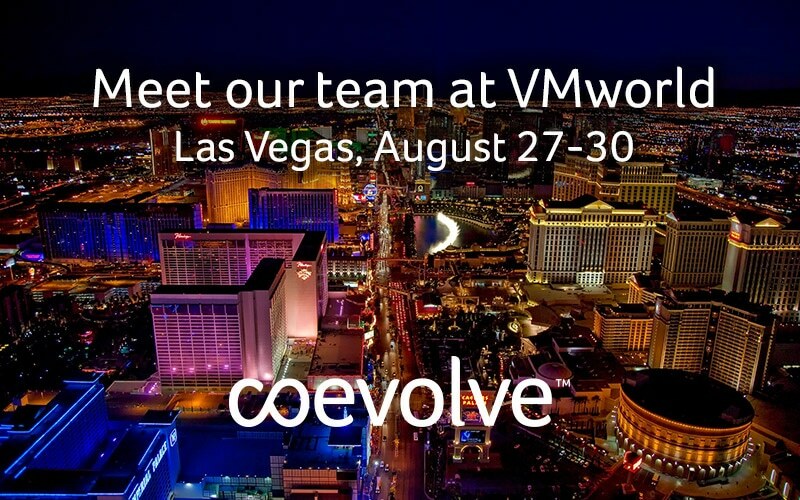 Coevolve’s CEO and CTO will be at VMworld from Aug 27-30, along with other senior members of our team. Get in touch to discuss SD-WAN or any other requirements! Coevolve is attending the VMworld 2018 event in Las Vegas from August 27 to 30th. CEO Tim Sullivan and CTO Ciaran Roche will be attending, along with Daniel Urbina and Sudhir Sakhuja. If you’d like to meet any of our team at the event, please get in touch with us today.